Do you charge a start-up fee? There is no start-up fee with HOSA, but our Clearinghouse charges a one-time fee that you’ll be required to pay in order for us to transmit your claims electronically. We send claims electronically whenever possible although some claims are still sent via paper. Do you help with insurance credentialing? Yes. 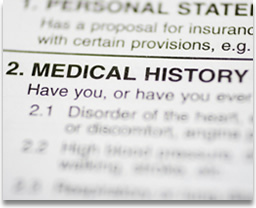 We will complete all necessary paperwork in order to get you credentialed with the insurance companies that you choose. We charge a minimal fee for each insurance carrier once you are credentialed. Yes, we track authorizations on our computer system and we let you know when there is only one authorization left. We charge a flat percentage based on the monies that are collected after the contractual adjustment. We do not charge for any denied or unpaid claims and we will exhaust all efforts to ensure that all claims are resolved. Will I benefit by outsourcing my billing to HOSA? By outsourcing your billing to HOSA, you will no longer feel the pressure of dealing with insurance company procedures, regulations, and collection issues. HOSA assumes the staffing, training, and management responsibilities for the billing and credentialing process so your office overhead is reduced and productivity is improved. We are professional billers and know the industry and have the tools to get the job done. You will have more time to concentrate on your patients and running your practice. HOSA will improve your cash flow by getting your claims paid faster and reducing your receivables. Do you process secondary claims? How often are claims processed? We guarantee to process claims within 72 hours of receipt, but in most cases claims are processed within 24 hours. I am starting my private practice and want to know if you’ll assist me with setting my practice fees based on reimbursement rates from insurance companies? We do advise our clients with the setting of office fees. This is based on research and knowledge of rates from other providers within your specialty, as well as the Medicare fee schedule. We will make sure to inform you if you need to raise your fees. Will I have a dedicated employee on my account? Yes. We assign one employee to your account so that the employee will have the detailed knowledge of your account. However, all employees are cross-trained on all accounts so that any of the staff can assist you with questions regarding your practice. Do you print patient statements? We print statements monthly and charge a small fee to print and mail them. Is my account information secure and kept confidential? All accounts information is secure and confidential. Each account is separate on our computer system and password protected. Each employee signs a confidentiality agreement with HOSA. All billing data is backed up to a separate storage device daily. Our systems are fully HIPAA compliant. Do you provide accounting reports? In addition to receiving a year end report, each month you are given several customized monthly reports. Copyright © 2010 Healthcare Office Support Associates. All rights reserved.